Packaging Dimensions 4.1 in. x 2 in. x 0.9 in. 1 answers Hello. What type of replacement knobs can I use on a Crate G6-140c? There are a few things you need to determine in order to find the right knobs. 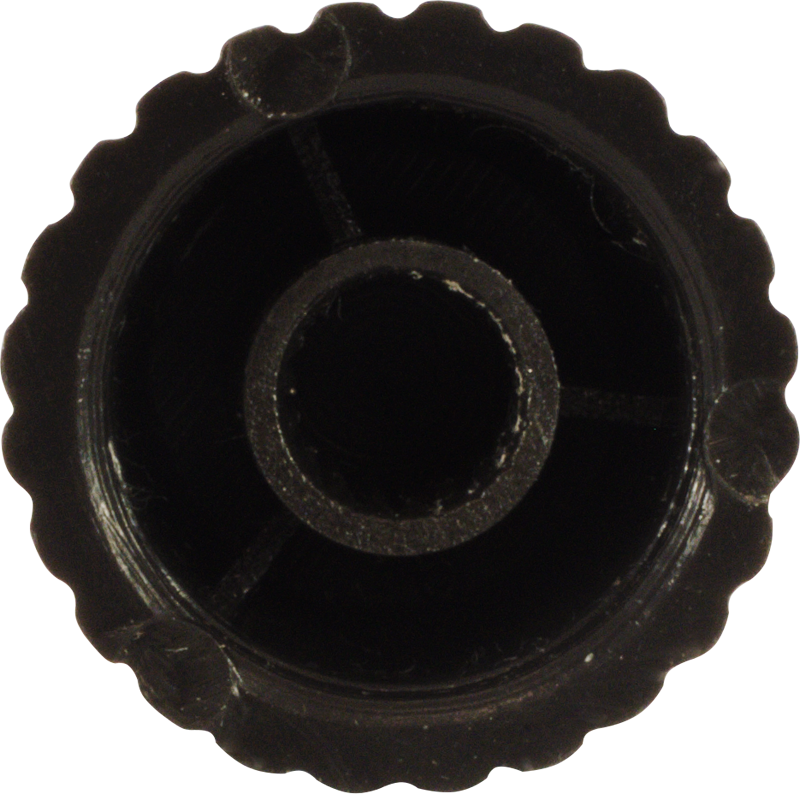 Are your pots solid shaft, d-shaft, split knurled, or splined nylon? If they are solid shaft, you can use any knob that has a set screw. A d-shaft pot will work with a d-shaft knob. With a split knurled shaft, you will need a push on knob. 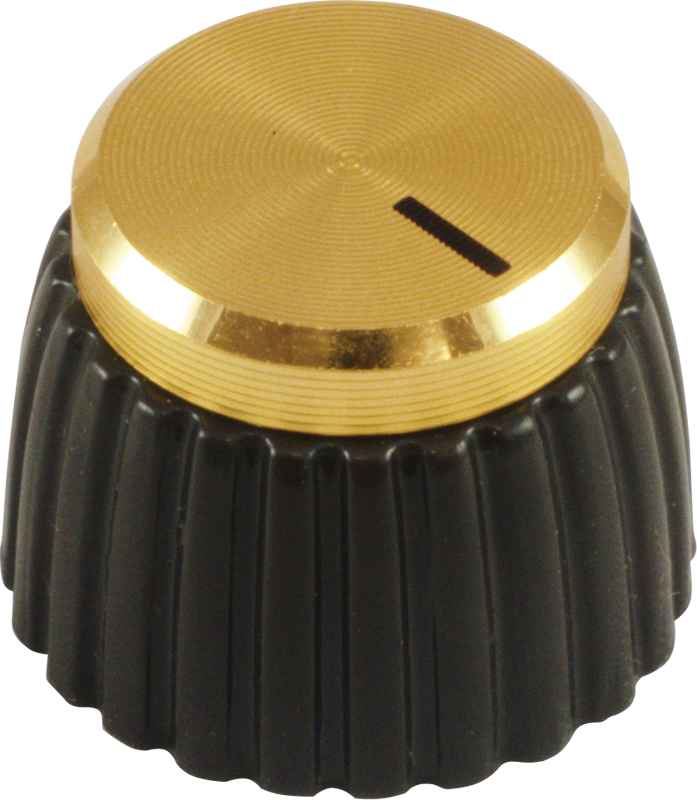 Typically, a splined nylon pot can use either a set screw or push-on knob. 1 answers Do these fit a D shaft? Specifically a JCM2000 DSL 50? These are push on knobs and will fit a 1/4 knurled shaft. Please search for part number P-K450 for the D-shaft version. 1 answers I'm looking for non-Marshall knobs that will fit a JCM 2000. I'm looking for contrast that's easier to see on a dark stage. 1 answers I have a Marshall valvestate 40 v.I need 10 New control knobs. Do you have a set of ten? We only have a set of 8. We do offer the P-K391 sold individually. 1 answers What color is the knob? Black or brown? These are mostly black but do have a hint of brown in them. I have purchased a number of these from Amplified Parts. The knobs are very good. I have purchased both push on and set screw types. A number of the set screw type knobs were knot drilled and tapped correctly and they actually did not work and I had to discard them. I now only use the push on knobs on my audio projects as they are 100% OK.Amplified Parts and (the other company located at the same address) are TOP NOTCH companies. I am a ham radio operator/builder and a audio component builder so they are just about the best place to buy parts. The Push on knobs are great but shy away from the set screw if you can!